The mass of data breaches that hit the headlines in 2015 show organizations must accept that breaches are inevitable, and breach detection and protection strategies are no longer enough to keep the hackers at bay. To prepare for a breach, organizations should put in place a breach containment strategy that assumes a breach will happen, and limits the scope of a breach when it does occur. Application isolation, role-based user access control and cloud-friendly segmentation are examples of techniques that can limit a hacker’s access to sensitive applications. These techniques have become more widely adopted lately, based on the assumption that breaches are inevitable, and that no network, user or device is every fully trusted. 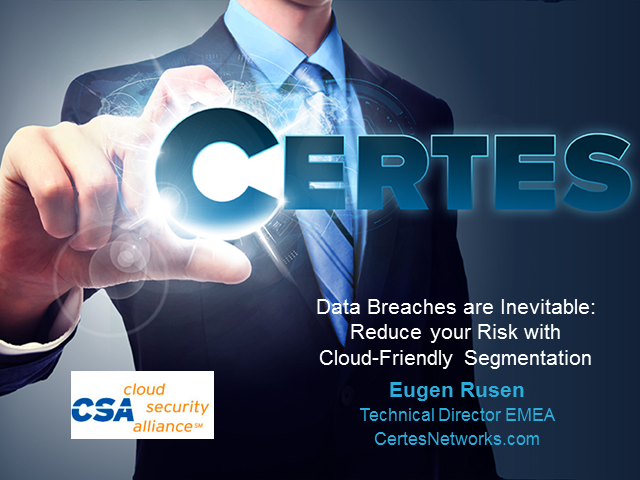 Eugen Rusen, Technical Director, for Certes Networks, will discuss how organizations can prepare for security breaches with practical examples and best practice tips.